I just made my first project with letters I bought from Lettering Delights and Scrappin Doodles that I just discovered from the MANY blogs that I stalk. I always make a take home notebook for my kiddos to carry class/homework, projects, notes, and reading in every night. They take it home in the afternoon go through it with mom or dad each night (hopefully) and bring it back the next morning. 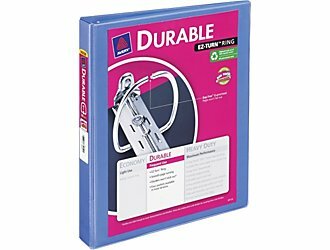 I use the clear view binders like these from Staples. And use tabbed pocket dividers inside to place books, notes, etc. This year I'm going to label each tab with the letters M-E-N-U M will be for things parents need to Monitor such as homework or notes, E will be for Enjoy, items for them to keep, N-is for Needs things we may need in class or their student may need and U is for Urgent notes and things that need taken care of right away. They are called our "MENU'S" and the kids always enjoy looking through them the first day. Here is the cover I came up with this year thanks to Scrappin Doodles and Lettering Delights! What I haven't figured out is how to get it to show up as the regular document and now it's late...so if you want to see it you'll just have to click on the link :) maybe tomorrow! WOOO HOOO and a Door Prize!